Someone starts living on the street because their bonds are broken. Therefore, a first respectful welcome is important. It needs to guide them towards the resources they can use and not blame them. It is necessary to have useful services and welcome spaces that offer people peace and security. 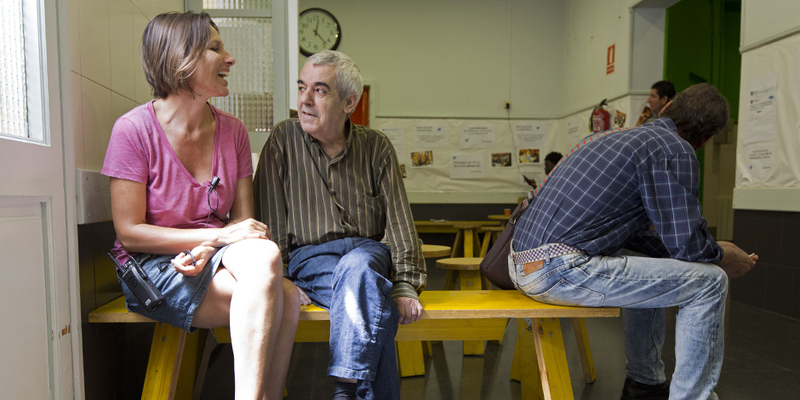 At Arrels’ open centre, we listen to homeless people and we accompany and orientate them. We also have basic services that are mainly focused on people that have some difficulties when accessing to public resources because of their lack of autonomy. What do we do at Arrels? When someone comes to the open centre, they find someone that welcomes them and is interested in their situation. The objective is to create a space where he is listened and trusted and where they explain their needs and establish bonds. This meeting can be useful to orientate and give information about other resources, give a blanket to spend the night on the street, make use of useful services or just protect themselves and rest for a while. When someone is sleeping on the street or in very unstable places, they need a secure space where they can keep their belongings. Arrels’ cloakroom and custody service of documentation receive more than 200 bags that have clothes, medicines, pictures and other personal items. It is a very important service because there are no long-term public cloakrooms in Barcelona for homeless people. At where does a homeless person receive a letter? And, how does he get calls or look for information on the internet? Arrels offers a mailbox service where people that do not have a fixed abode can receive letters. We also have a space where they can receive phone calls and connect to the internet. 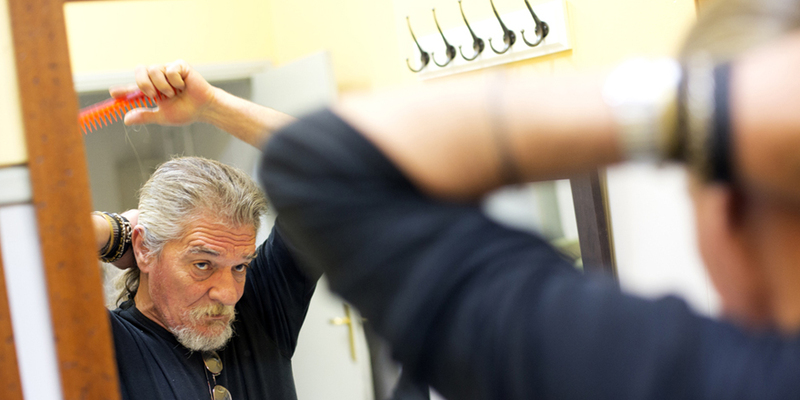 In 2018, 858 people showered in Arrels’ open centre, 1.082 used the cloakroom and many others shaved or used hairdressing and podiatry services. There are services that we cannot offer to everybody and that is why they speak with homeless people and have some difficulties when accessing to public resources because of their lack of autonomy. At the open centre we also give advice to homeless people about what they can do to improve their situation and we inform them about the resources that exist in the city where they can go ask for help. Usually, people ask for a place to sleep or a place to shower and change clothes. In a year, the orientation service has assisted more than 1,300 people that do not find any answers in Barcelona.